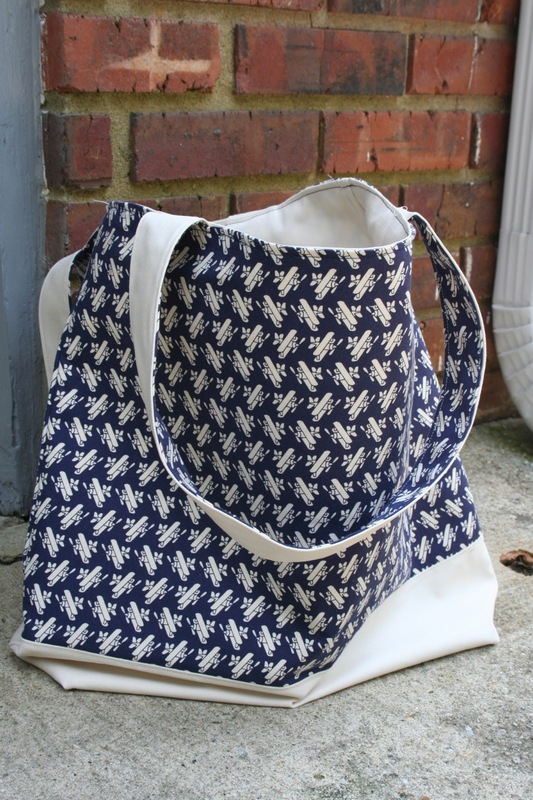 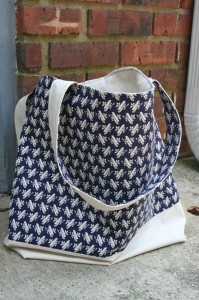 This reversible tote can take you from the beach to class or on an airplane! 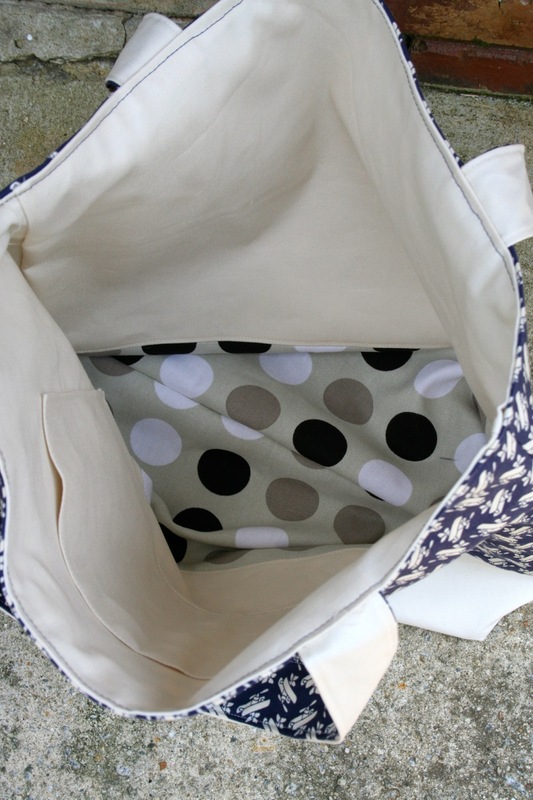 With 2 interior pockets, it has a special place for your phone and keys, headphones or pencils. 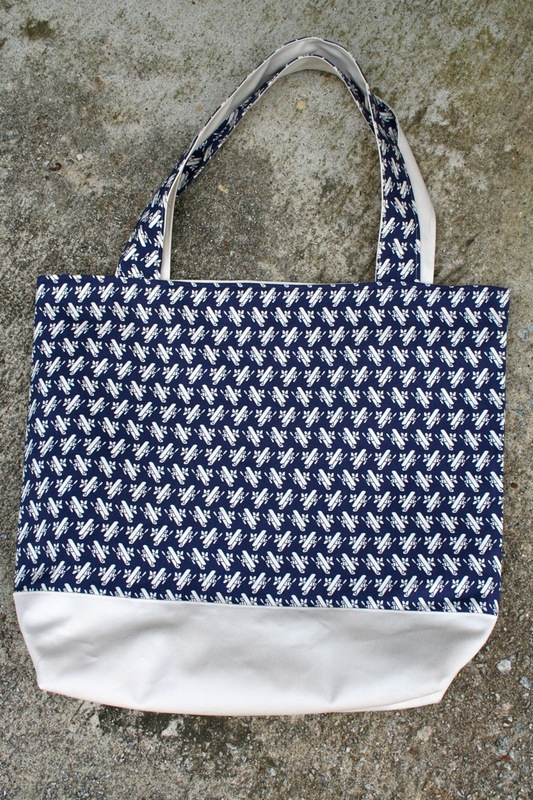 The exterior is made with Kokka Trefle Oxford Cotton Canvas Airplanes in navy with a cream duck cloth on the bottom. The interior is made with the same cream duck cloth and a polk-a-dot canvas on the bottom. 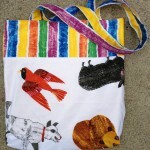 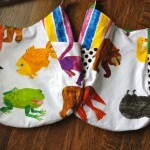 The bag has an interfacing for extra sturdiness. This bag measures 14X16 inches and should be spot cleaned or washed by hand.